at Criteria Studios, plus 5 previously unreleased live tracks. Release Date: March 4, 2008! The Rock & Roll Hall Of Fame! 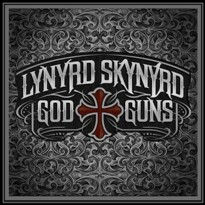 "Ain't Nuthin' Lyke A Skynyrd Crowd"
Welcome to our "Lynyrd Skynyrd FRYNDS & Skynyrd Chatroom" website created for and dedicated to the Fans of the Lynyrd Skynyrd Band. Read on to discover the history of our website and information regarding what our website is all about. This website & chatroom was created in September 2000 when the chatroom on the Skynyrd.com website, "Skynyr-Chat", was closed. That chatroom had been in existance there since 1996. We are proud to be continuing on and heading into our 10th year here at frynds.com! Over the years we have met alot of Skynyrd Fans and made alot of Frynds. Some have come & gone, some return periodically and some are still here! Alot of us have met face-to-face at Skynyrd concerts, Skynyrd Tribute Weekends held in Jacksonville, FL and other Skynyrd related events. Some have built life long fryndships with Frynds they have met here. There's even been a few marriages between Frynds, how cool is that?! A special "Thank You" goes out to all the "Frynds" who have contributed to our "Frynds Website & Skynyrd Chatroom" helping to make it what it is! An "extra special Thank You" to my good frynd, Pan51...for making this website and chatroom possible for all of us to enjoy by donating web space and his expertise! We have developed into quite a "Frynds Network" and it's exciting to see us growing and sharing fryndships because the music of the Lynyrd Skynyrd Band has brought us all together. This website is all about Lynyrd Skynyrd, past & present, which spans a 30+ year history of tragedies & triumphs. It's also about the "Frynds" made because of our common interest in the band and their music. There is no music that touches people in such profound ways as Lynyrd Skynyrd's. Evidenced by their millions of record sales over the years and the fact that they are still out there playing the classic songs, creating new music and still touring regularly. We are thankful the original members are carrying on and for the other great musicians who now make up the current Lynyrd Skynyrd band. 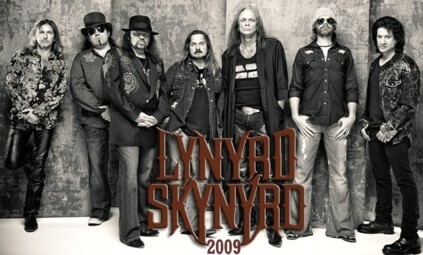 There's nothing lyke hearing and feeling the energy of Lynyrd Skynyrd LIVE!!! We'll never forget the "original band - members" who are no longer with us that gave their extraordinary talents and are responsible for the Lynyrd Skynyrd sound, creating the best Southern Rock music ever! "If I Leave Here Tomorrow ~ Would You Still Remember Me?" 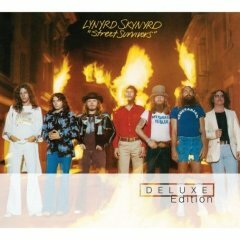 We also remember and appreciate the past members of the Original Lynyrd Skynyrd Band who have moved on. Artimus Pyle, Ed King, Bob Burns, Larry Junstrom, JoJo Billingsley and Leslie Hawkins. 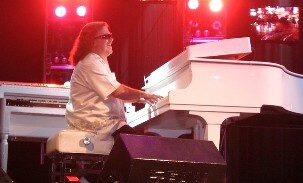 Not to mention the countless other members who have been part of Lynyrd Skynyrd thru the years. We wish them the best in everything they do and continued success! The contributions of talent of all the past and present members of The Lynyrd Skynyrd Band and their being the....."Greatest Southern Rock Band" of all tyme, still lives on thru their music and us...their fans, who have been fortunate enough to become "Frynds" because of our common love of the music and what it represents. *JAVA CHAT* Join Other Skynyrd Fans In A Real-Tyme Chatroom! We're a fryndly group and have a fun relaxing tyme. We're always glad to meet other Skynyrd Fans and "New Frynds". We talk about Skynyrd along with a variety of other topics. Chatting is fun and not restricted to only Skynyrd related topics, so stop in - kick yer shoes off - and chat a while with other fans! Due to everyone's busy schedules, there is now a Monday Nyte Chat Nyte. Of course the chatroom is open 24/7 & usually evenings are the best time to catch frynds in chat. *FRYNDS* Chat Nicks, Personal Websites, Pictures & Birthdays! Just email us with your information, so we can add you too! *FAVORITE LINKS* Add Your Own Favorite Links! It's easy! Share your links that will be of interest to our overall group of Frynds. When you're looking for something, check out our links first! Thanks For All You Do, As Fans, In Helping To Keep The Music & Memories Alive!